A Zoo New England embership has many benefits, one of which is free admission to both the Franklin Park and Stone zoos (ours were purchased after our visit to the Franklin Park Zoo in early January). So while most New Englanders were getting ready to watch the Super Bowl, we visited the Stone Zoo. 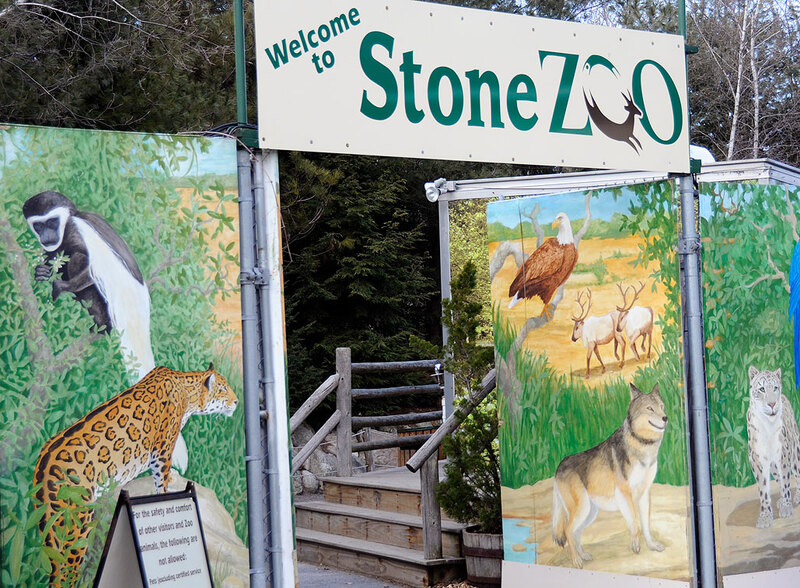 Stone Zoo, founded in 1905 as the Middlesex Fells Zoo, is located on a 26-acre site next the Spot Pond Reservoir in Stoneham, MA. Both the Stone Zoo and the Franklin Park Zoo are managed by the non-profit corporation Zoo New England. Zoo New England is a participatant in the Species Survival Plans (SSP) for several of their animals. SSP started in 1981 as a means for zoos and aquariums to cooperatively manage the breeding of selected species in order to maintain a genetically diverse and stable captive population. 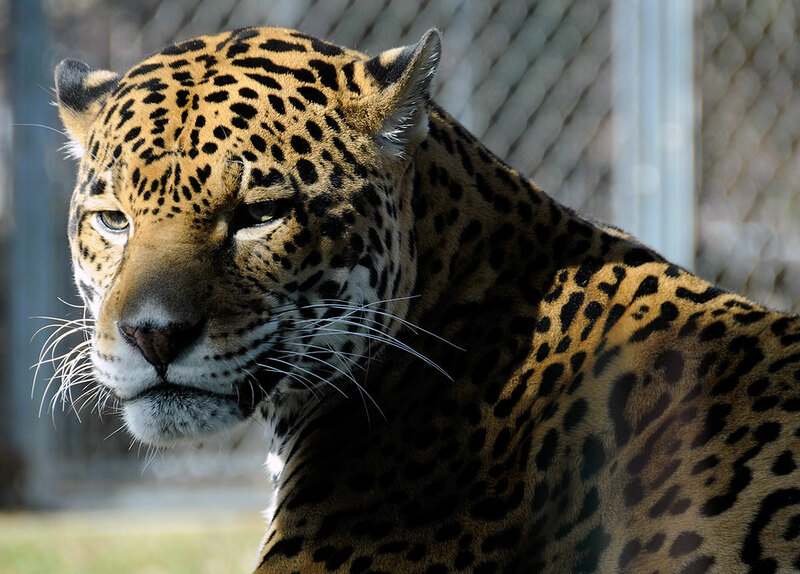 Besides the snow leopards, the Stone Zoo has quite a few other beautiful big cats. Maybe because it was a slow zoo day or that it was close to lunch time, but all of them came up to check us out and were happy to pose for photos. While some may look like a bigger version of the typical house cat, all have a presence which demands respect. The jaguar turned and gave us a “look” when we mistakenly refered to it as a leopard. There is more to the Stone Zoo than just big cats. They have bears, bald eagles, owls, flamingos, and otters just to name a few. 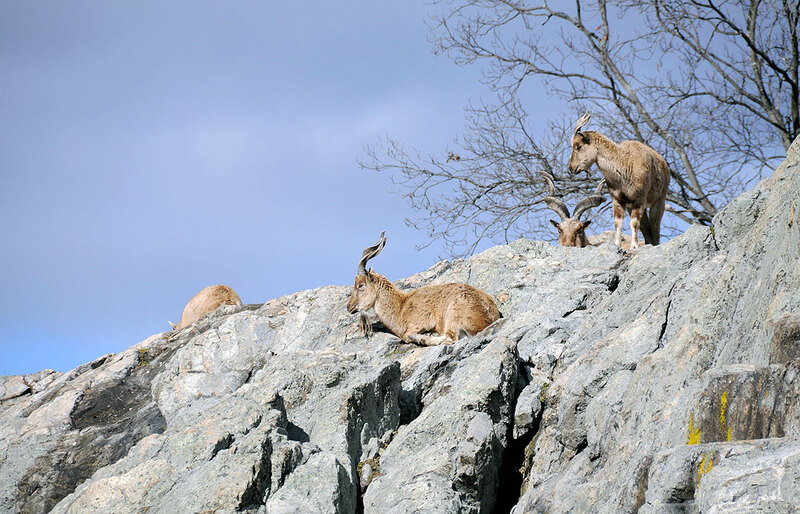 Many of the enclosures and habitats are specially designed with climbing structures, perches, and such to encourage activity and natural behaviors. The goals are to give the animals stimulation, a variety of sensory enrichment, and as a means of helping them expend energy. Want to get to know the animals at the MA zoos even better? Zoo New England is now offering a premium look at the “behind-the-scenes.” Special guided tour of your favorite animal area may be arranged for groups. There are even special playgroups designed for kids between 18 months and 3 years old. Zoos are a great place to learn, get involved, and to support animal conservation. If it has been a while since you have been to a zoo, go for a visit. We are sure you will come away impressed.